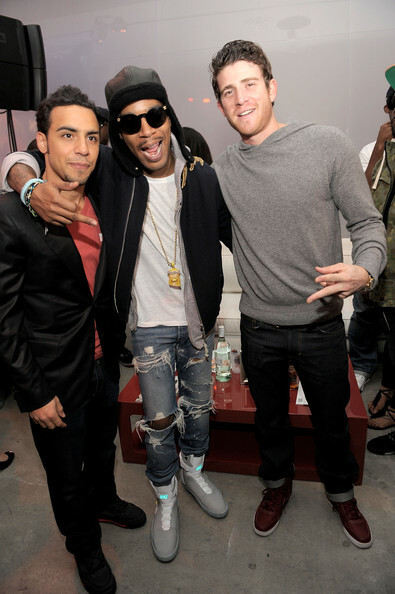 Spotted over the weekend in Hollywood, Kid Cudi broke out a pair of Nike Mags at his Complex Magazine cover party. Kid Cudi appeared to enjoy himself over the weekend in Hollywood, as he took part in a gathering hosted by Bacardi to celebrate his latest Complex Magazine cover. 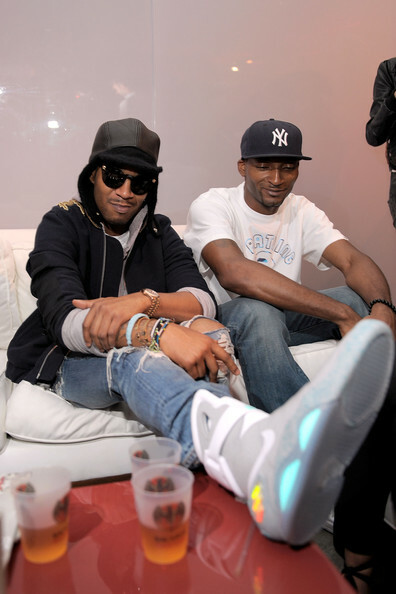 With his 'How To Make It In America' cast friends in tow, Cudi chose the occasion to break out his newly-arrived Nike Mags for the first time.